Early figures for turnout in the Liberian elections suggest numbers are down as voters are asked to decide who wins the presidential run-off. 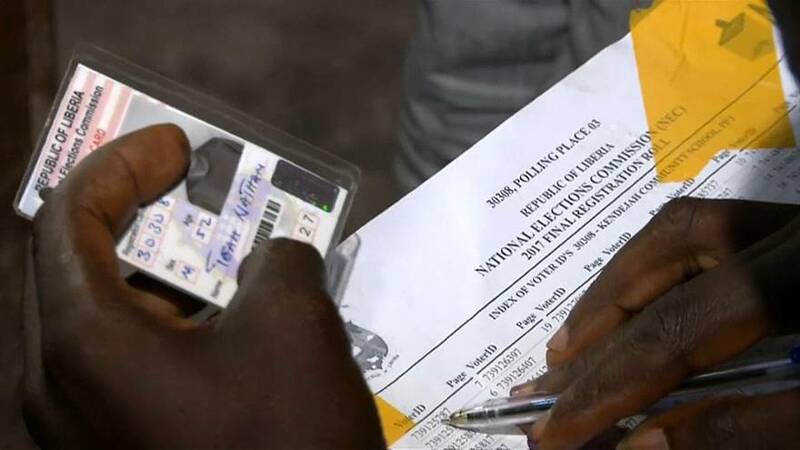 Queues were short and calm outside polling stations in marked contrast to the lines of people in the first round, but observers remarked that may have been due to better organisation, or the fact that Boxing Day is a holiday in Liberia. In government for the last 12 years Vice President Joseph Boakai has the experience but trailed challenger George Weah by 10 points after the first round. "For years I have been following this country even when it was difficult to do so. I know what this country needs . I know what this economy can turn around," he said at a final rally. Weah has star power and a national profile thanks to his footballing exploits, and has been a Senator for the last three years. Boakai's Unity party can point to growing the economy by a factor of four, but people appear hungry for change. "Something is about to happen on Tuesday. On Tuesday will be a historic day," says a confident Weah. Whoever wins faces the task of cementing the gains in national unity made after the 14-year civil war and taking Liberia into the future.